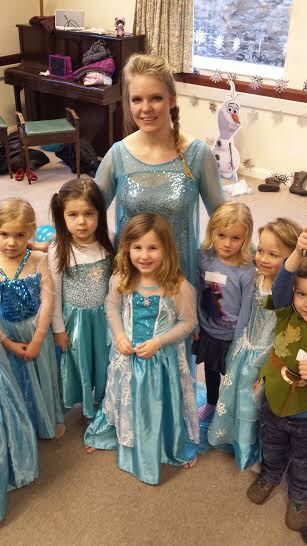 If your little Anna or Elsa just can’t ‘Let It Go’ and you are looking for a Frozen Party then you have come to the right place! 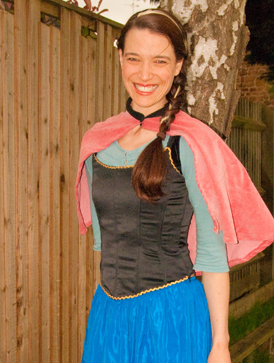 Let out very own Princess Elsa or Anna host your party! 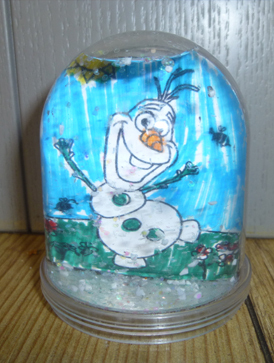 Ice glitter straight from the North Mountain will be offered to the children as they arrive before an hour of dancing and Frozen related games featuring music from the Frozen soundtrack. 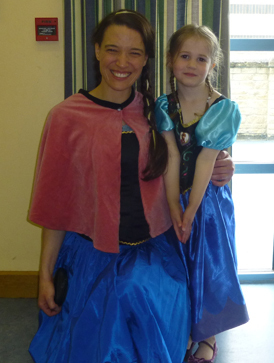 Lots of props are provided as well as pass parcel, sweets for prizes and Frozen themed games. 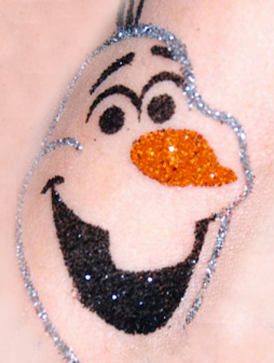 Glitter tattoos – Snowflake and Elsa designs will keep the children delighted. They are hand stencilled on and very effective. Other designs are available also. 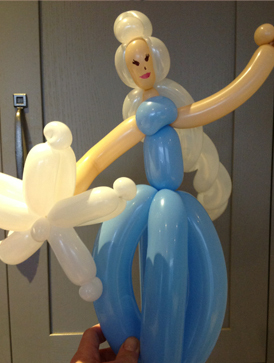 Balloons – Each child can take home a special balloon. Balloon gift for the birthday child – starting from £5 for a large deluxe balloon of Elsa or £15 for the table top display pictured. Please see the balloon gifts page for more info.